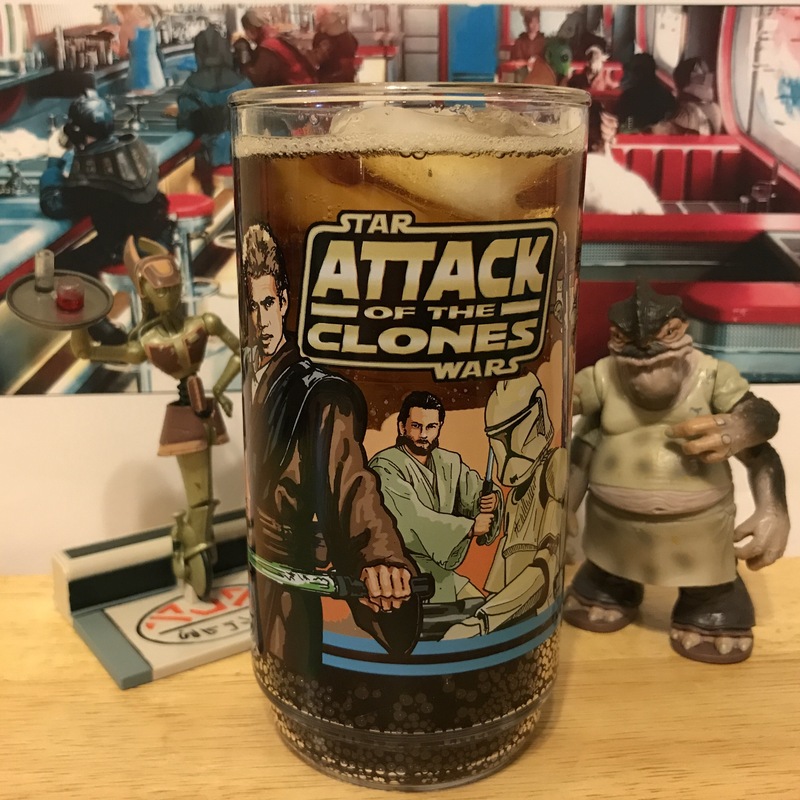 In between creepy poisonous millipedes, and discovering a clone army, nothing fuels an investigation better than a cup of Jawa Juice! I’m willing to bet that the best Jawa Juice on Coruscant can be found at Dex’s Diner. Operated and owned by Obi-Wan’s old friend Dexter Jettster (Well… Whadya know?) it’s the favorite greasy spoon of working class beings. Okay, maybe chef Dex has trouble keeping his pants up, and his shirt clean, but it’s still the first place I’d grab a bite to eat after any space journey. Instead of fermenting Bantha hide, I decided to keep this recipe simple for a Jedi on the move. I’ve also included a few variations if you’d like to make it a little bit more interesting. So park your speeder, grab a booth, and let Flo get you a cup of Jawa Juice, hon. Pour cola into the cup, filling it about half way. Fill the rest of the glass with coffee. Enjoy while overlooking the health code violations at Dex’s Diner. Suggested variations: Replace ice cubes with 2 small scoops of vanilla ice cream or replace half the coffee with Kahlúa.